BATON ROUGE — Conservative Republicans got most of what they were looking for at the Republican National Convention last week in Tampa — with the nomination of Gov. 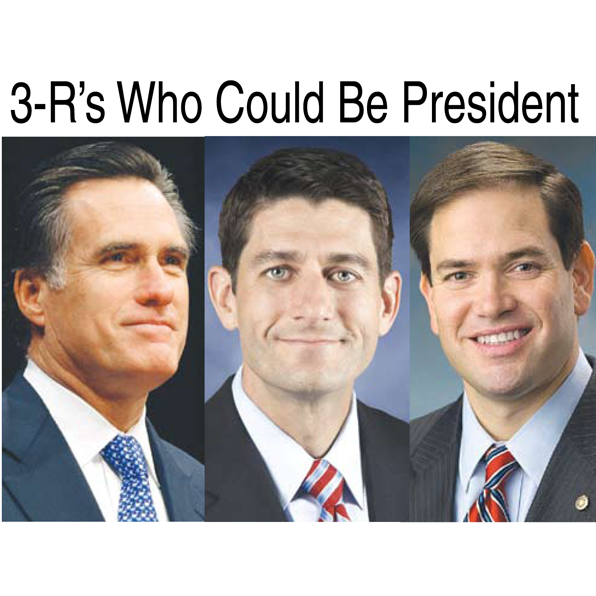 Mitt Romney for President and Congressman Paul Ryan for Vice President. Romney is sounding more conservative all the time, and he is running on perhaps the most conservative party platform ever. His selection of Paul Ryan as Vice President was a strong sign that he plans to govern as a fiscal conservative. Ryan is perhaps the leading expert in the GOP on how to get federal spending under control and balance the budget. There were many stars coming out of the Republican National Convention. Certainly the most popular was Ann Romney who captivated Americans’ hearts with her speech at the convention. It was potentially a game-changer that put Romney in a much stronger position with women voters. Another smash success at the convention was Paul Ryan, who showed brilliance, competence, and a terrific wit to the national television audience. He has added just what was needed to the Romney ticket, and the former governor leaves the convention immeasurably stronger than before Ryan came on board. Voters could easily see Ryan as a man capable of being President — a leader who could give you confidence in the future of the country. The other break-out star at the convention had to be Sen. Marco Rubio of Florida. Countless Americans wanted him to run for President in 2012 but knew that was unrealistic because he just arrived at the Senate in 2011. But his speech at the convention left many Republicans wanting much more. They see him as a messenger who can deliver the conservative philosophy to a whole new generation of Americans and the 50-million member Latin community in the United States. The Republican ticket appears to be very viable in the Nov. 6 election, especially when you look behind the poll numbers. Most of the polls you hear about in the news are showing Romney slightly ahead. What they don’t tell you is that most of the polls overweight the Democratic vote. Romney is probably doing slightly better than the polls are showing. But there are dark clouds on the horizon in this election. • In the battleground state of Ohio, a federal judge has ordered the Nov. 6 election to begin three days early and continue all three days. This is a license for vote-hauling and multiple voting. • In the battleground state of Florida, a federal judge has also ordered three straight days of voting in certain parts of the state. • Federal judges in Washington struck down a Texas law requiring that voters show a photo I.D. in order to vote. • Meanwhile, the Obama administration through Attorney General Eric Holders is fighting photo I.D. laws throughout the nation. The Obama administration and many Democrats shamelessly attempt to undercut the sanctity of the ballot by fighting laws that are designed to make sure a voter is who he says he is and prevent multiple voting. The response is that vote fraud is rare. Are you kidding? We had a Congressman, Rick Tonry, go to federal prison for “ringing the bell,” or illegally voting machines. We had another congressman resign over similar allegaitons. The 9th Ward of New Orleans and other corrupt areas in the city are well known for their history of vote-buying and multiple voting. Then there’s Chicago… and New Jersey… and Las Vegas. The Republican ticket is looking good, but the best ticket in history would lose in a dishonest election.